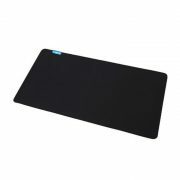 MM200 Standard Edition is 360mm wide and 300mm long, for a playing area that’s ideal for most games without taking up too much desk space. The cloth surface of the MM200 delivers excellent glide characteristics that allow you to execute fast swipes and pull off high-precision shots with confidence and consistency. It’s optimized for gaming sensors, with a custom designed surface that delivers excellent tracking. The MM200 is stable and secure. You can’t afford to have your mouse surface move in the middle of a firefight, so we added a 1.5mm no-slip base that provides cushion with just the right amount of give. And it’s made of natural rubber, so it doesn’t have a harsh chemical odor.